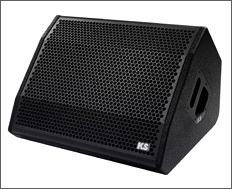 Welcome to the KS Audio Professional Live PA Speaker Systems Floor Monitors line. These live / PA loudspeakers represent "The Sonic Truth"… KS Audio's dedication to the utmost transparency in the reproduction of your music. 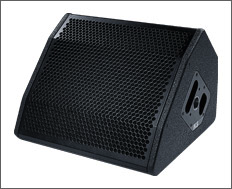 The CM 210 unpowered floor monitor is a compact, dynamic live / PA loudspeaker featuring a powerful 10" cone and a 1" HF driver. 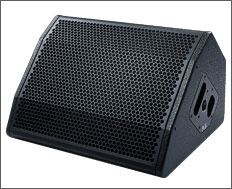 The CM 215 unpowered floor monitor is the flagship CM Series monitor--it's a power-packed full-range or bi-amped loudspeaker. The CPD 1M powered floor monitor features DSP control and powerful active electronics for incredibly accurate performance at any volume. The CM 112 unpowered floor monitor features the transparent sound of KS Audio in an affordable package. 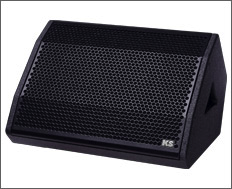 The T4 M unpowered floor monitor is the top-of-the-line flagship unpowered monitor from KS Audio. 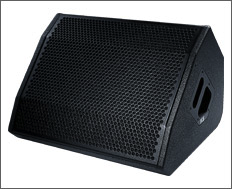 The CPD 12M powered floor monitor is a powerhouse stage monitor with coaxial design, DSP control, and peak performance of 1,200 W. Truly a masterpiece!